Three-day Instructional Summer Camp Registration Opens! The United States Youth Volleyball League (USYVL) opened registration for three-day instructional youth volleyball camps this summer. Summer camps are located throughout Northern and Southern California at locations including Huntington Beach, Irvine, Laguna Niguel, Long Beach, Los Gatos, Moorpark, Sacramento, Thousand Oaks, and Torrance. Camps are available for boys and girls ages 7-15. USYVL Summer Camp programs focus on skill development to improve and enhance all aspects of player’s technique and proficiency on the court. 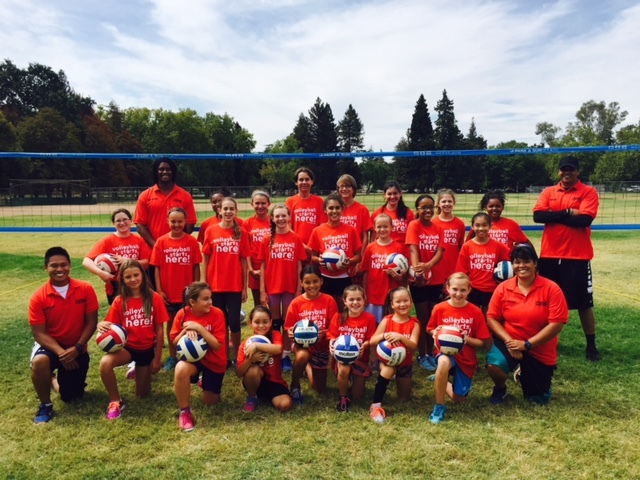 Our summer camp program is for beginner, intermediate, and advanced volleyball players. To register or to learn more about the program, visit our summer camps website. At our summer camps, participants learn in smaller groups according to age and skill level. These smaller groups allow our experienced instructors more time for individual coaching and instruction within a team environment. The player to coach ratio for USYVL Summer Camps is 8:1, which permits more flexibility and time for coaches to work one-on-one with participants. Best of all, summer camps are fun! We work to create a positive environment based on mutual respect, rather than a win-at-all-costs attitude. For information on USYVL Summer Camp registration, locations, schedules or volunteer opportunities, visit www.usyvl.org or contact us at 1-888-988-7985 or [email protected]. Founded in 1997, the United States Youth Volleyball League is a non-profit youth sports organization that hosts more than 15,000 participants annually, nationwide. USYVL’s mission is to provide every child between the ages of 7 and 15 a chance to learn and play volleyball in a fun, safe, and supervised environment. One of the main tenets of the program is to encourage children to do their best with their abilities. With an emphasis on positive reinforcement, the program seeks to build confidence and self-esteem in each child. In the next two weeks, USYVL will host the final three summer camps in Long Beach, Thousand Oaks, and Torrance. Our three-day volleyball camps are a great opportunity for boys and girls to received instruction from skilled coaches and improve skill development. Summer camps are open to all boys and girls ages 7-15. The registration deadline for our Long Beach and Thousand Oaks summer camps is Sunday, July 22 at midnight. To sign up, please visit the summer camp pages listed. Our final summer camp of the year will be in Torrance. The deadline for the Torrance summer camp is Sunday, July 30. The coach to player ratio is 8:1 for our summer camps. These smaller groups allow our experienced instructors more time for individual coaching and instruction. Come join USYVL for summer camp. This is a great way to prepare for the upcoming fall league season. Not only are summer camps fun, but it is perfect for learning and skill development in a positive and uplifting environment. • Three-day camp schedule. Three hours each day. • Players assigned to smaller groups according to age and skill level. • Players grouped based on age and playing experience. • Camps operate with an 8:1 player to coach ratio. • Instructors with experience at the club, high school or higher level provide individual coaching and instruction. • Team and one-on-one instruction focuses on the specific skills needed to improve overall game performance. • Players can develop meaningful friendships and learn the importance of teamwork on the volleyball court. For more information on summer camps, visit our dedicated USYVL Summer Camps page. As our spring league season concludes, it is time to look forward to summer! We hope that you will join USYVL for one of our three-day summer camps. We are happy to announce that we have added three new summer camp locations to the schedule. The new summer camp locations are Hermosa Beach, Huntington Beach, and Moorpark. You can learn more about each location and register for the camps at the link below. 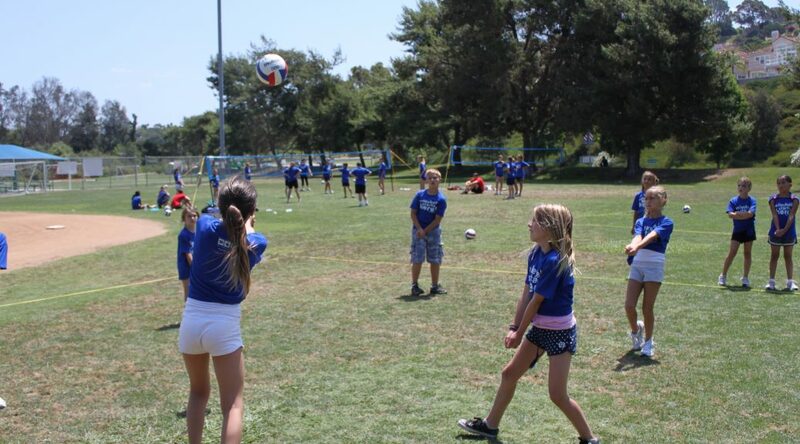 With these additions, USYVL will host 11 summer camps throughout California. Camps are open to all boys and girls ages 7-15. Our summer camp programs focus on skill development to improve and enhance all aspects of player’s technique and proficiency on the court. Skilled volleyball instructors with a proven coaching background provide camp attendees with expert instruction at each camp location. At our summer camps, players participate in smaller groups according to age and skill level. These smaller groups allow our experienced instructors more time for individual coaching and instruction. Additionally, through the three-day camp experience, players are able to development meaningful friendships and learn the importance of teamwork on the volleyball court. Other summer camp locations include: Irvine, Laguna Niguel, Long Beach, Los Gatos, Sacramento, San Jose, Thousand Oaks, and Torrance. For more information on USYVL Summer Camps click here! For additional information or questions, please call USYVL at 1-888-988-7985 or email us with the subject line “Summer Camps” at [email protected]. USYVL is gearing up for our spring season, but it is never too early to make summer plans! This week we posted our 2017 Summer Camp schedule. Each summer USYVL hosts three-day instructional camps for beginner, intermediate and advanced volleyball players. Our summer camp programs focus on skill development to improve and enhance all aspects of player’s technique and proficiency on the court. 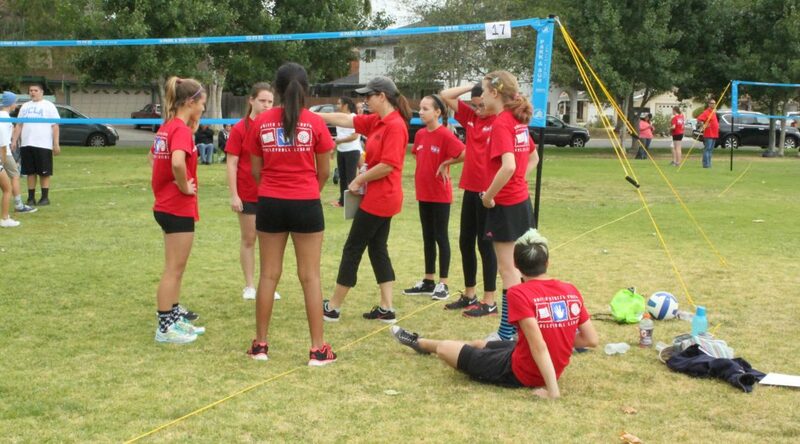 Skilled volleyball instructors with an extensive coaching background provide camp attendees with expert instruction. To learn more or to sign up visit our summer camp page. Camps are built with the player in mind. Attendees will have access to more one-on-one and small group training perfect for individual training, skill development and technique improvement. At our summer camps, players divide into smaller groups according to age and skill level. These smaller groups allow our experienced instructors more time for individual coaching and instruction. Additionally, through the three-day camp experience, players are able to development meaningful friendships and learn the importance of teamwork on the volleyball court. Camps are available for boys and girls ages 7-15. •	Three-day camp schedule. Three hours each day. •	Players assigned to smaller groups according to age and skill level. •	Players grouped based on age and playing experience. •	Camps operate with an 8:1 player to coach ratio. •	Instructors with experience at the club, high school or higher level provide individual coaching and instruction. •	Team and one-on-one instruction focuses on the specific skills needed to improve over all game performance. •	Players can develop meaningful friendships and learn the importance of teamwork on the volleyball court.